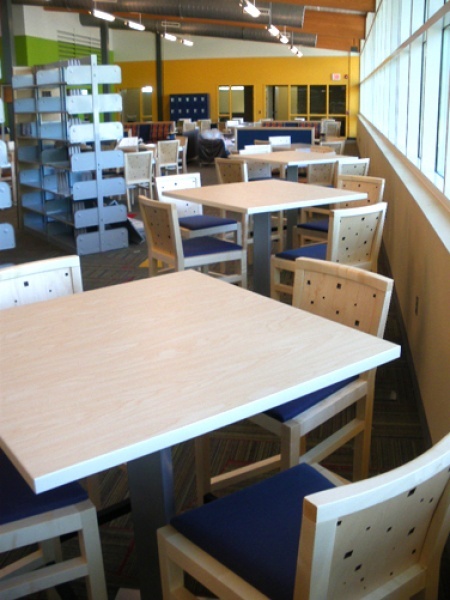 The interior of the Student Resource Center was developed with two criteria in mind: relate the interior to the exterior, and create an exciting space that the students want to use. 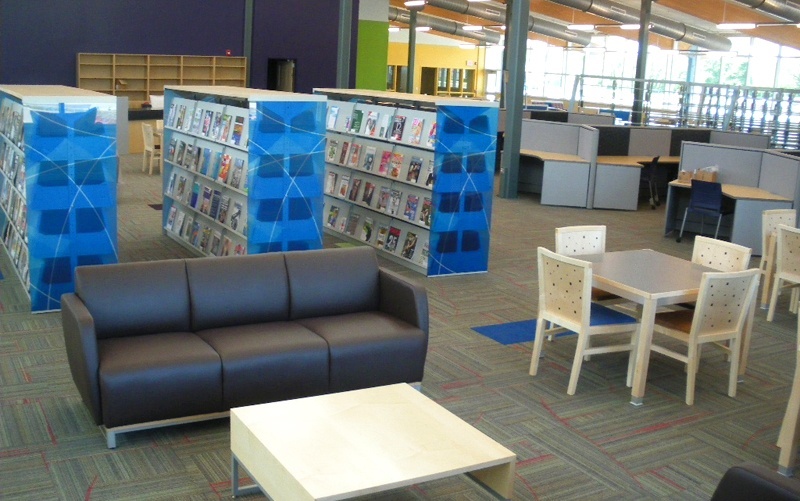 The arched wall that separates internal functions became a recurring theme found in patterned carpets, customized library shelving, and other curved elements within the building. 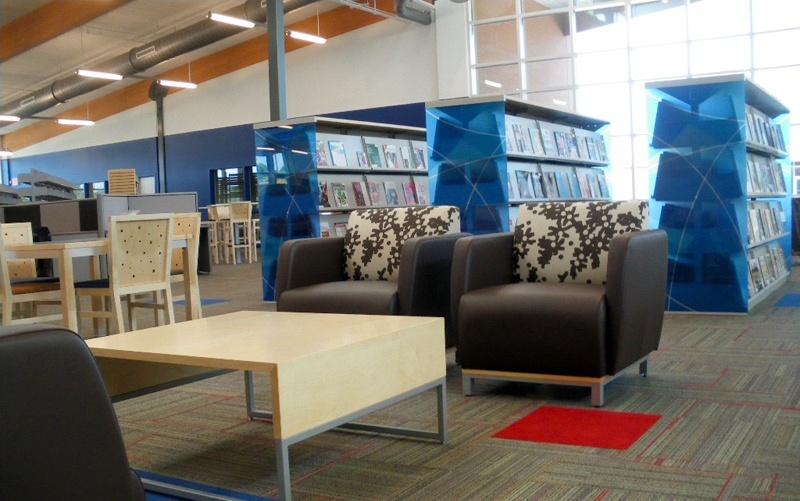 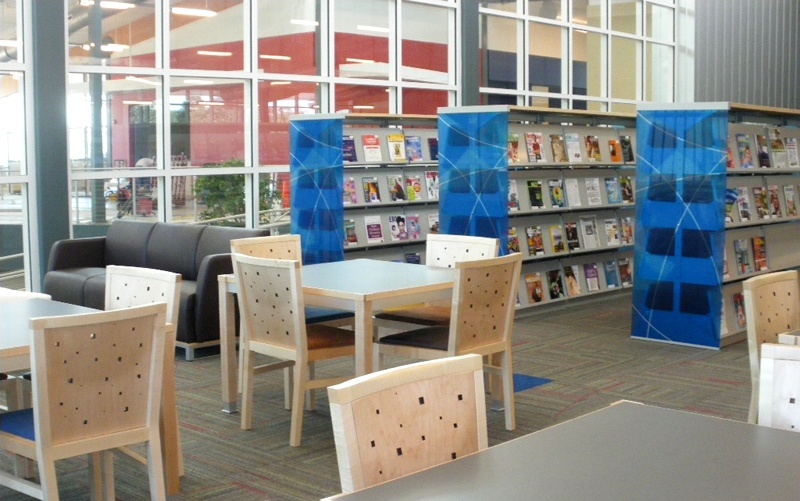 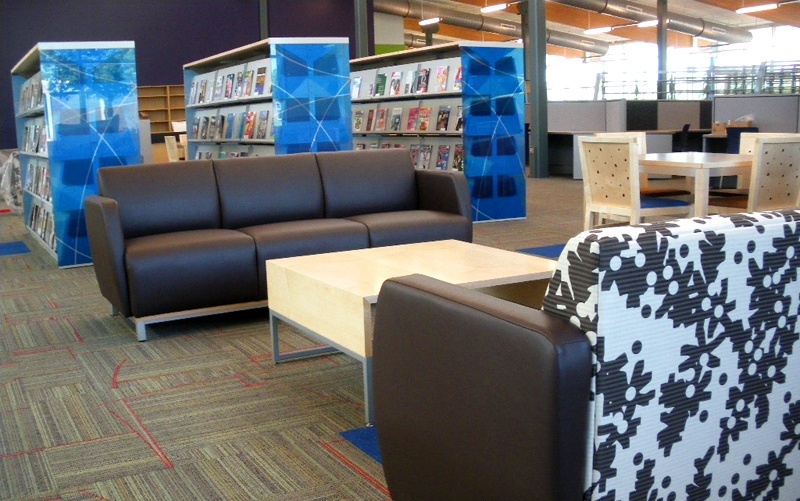 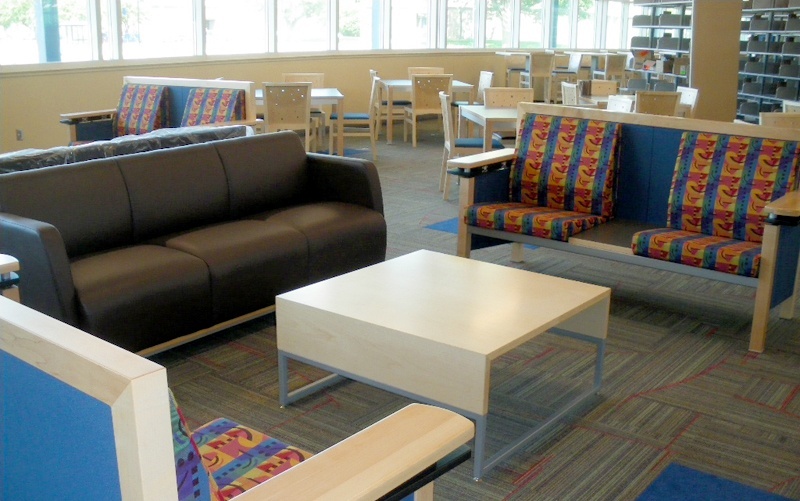 An energetic color scheme and contemporary furniture create an exciting space for students and staff of all ages.